Villa Oeiras is a wonderful new producer making old wines! The old estate of the Marquis de Pombal is now under the ownership of the local authority, and they are investing in their heritage to revitalise the vineyard areas and the almost-forgotten style of wine that is Carcavelos. The Villa Oeiras project was established in 2001, but only now are they releasing their wines, having required years of patience in the development and ageing of old reserves. Mainly due to tourism and this town’s proximity to Lisbon, much of the vineyards in this region have been grubbed-up for housing and hotel developments, as the Lisboa region prospered. What remains is being bought by the Oeiras council in order to protected and improve it. 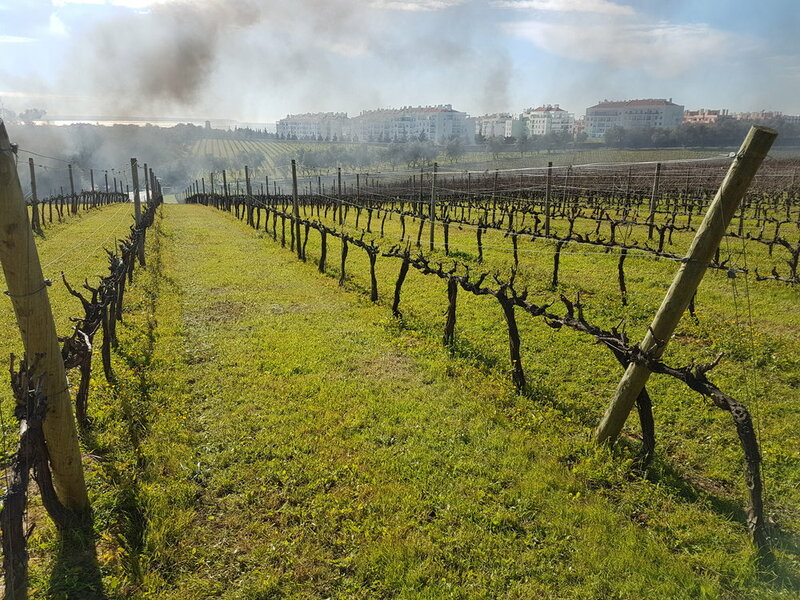 There is, roughly, only 25 hectares of vines currently remaining in the area, of which Villa Oeiras own the majority (about 20 Ha). They have plans to plant a little more, where space allows. The Villa Oeiras winery, Adega do Casal da Manteiga, is right next to the majority of their vines, north of the town. Once barrelled, the wines are aged in the traditional cellar halls of the Palacio do Marques de Pombal on the main estate in the centre of town.